Must love animals! We care mostly for cats and dogs, but we also care for the occasional fish, bird, and small pets. Prior professional pet care experience desirable. Comfortable caring for all breeds, sizes and ages. Excellent people and pet skills. Must have the ability to work independently and follow instruction. Own a reliable vehicle with current auto insurance; have a clean driving record; willing to drive up to 50 miles / day. Have a smart phone with camera and texting ability. Willing to submit to a background check. 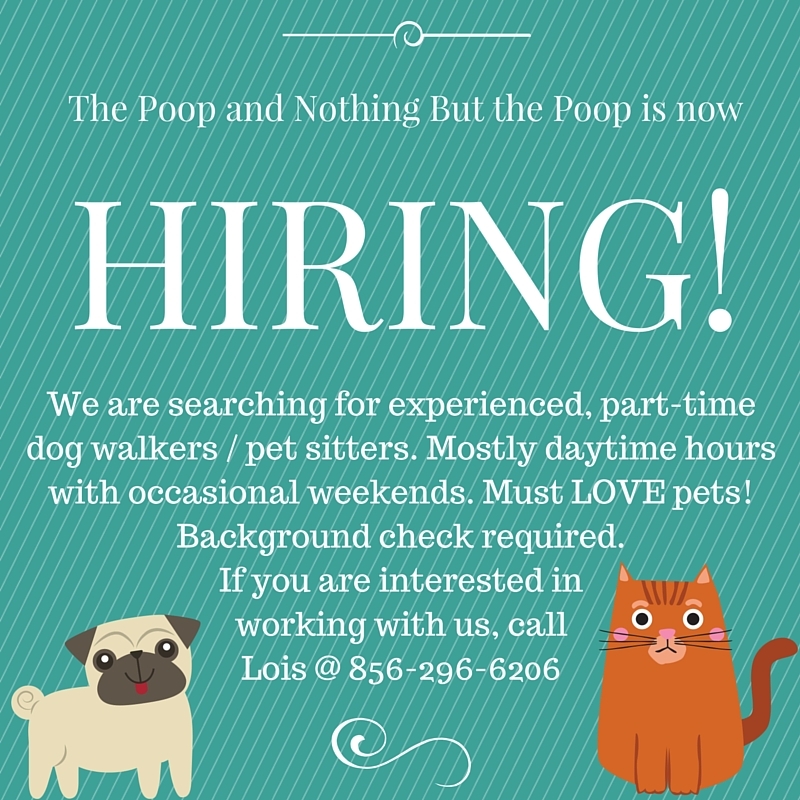 If you’d like to be considered, please send an email to pooppatrol2@yahoo.com.